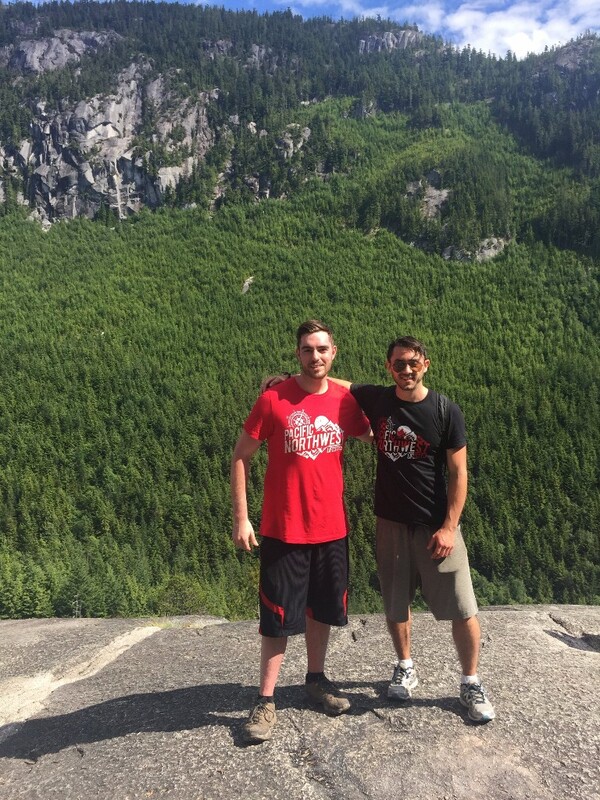 So it’s your first time in Vancouver, eh? Welcome! We’re sorry for waking you up early (get used to the apologizing – we’re known for it), but we want you to make the most of your 150 hours with us. Grab a hearty breakfast, and yes, Canadian bacon, pancakes and maple syrup are all allowed. The best plan of attack for the day is to start with a hop-on, hop-off sightseeing tour. The two-hour loop will give you the “lay of the land” so you can decide where you want to spend more time. The tours stop at many of Vancouver’s most popular sites, including Stanley Park, the Vancouver Aquarium and Granville Island, as well as neighbourhoods like Chinatown and Gastown. Continue your orientation of the city with a Sea Vancouver tour of the city’s harbour by Zodiac, or head to FlyOver Canada, a 4D flight simulation that will have you soaring above our country’s astounding natural landscape. Spend the rest of the afternoon on the city’s famous shopping strip, Robson Street, or familiarize yourself with the works of British Columbia’s best known artist, Emily Carr, at the Vancouver Art Gallery. 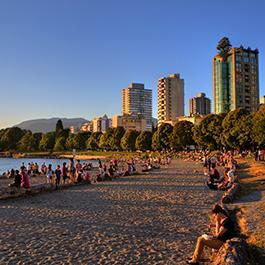 Finish off the day with dinner at a restaurant with a view of Vancouver’s majestic mountains. This morning we suggest that you rent a bicycle and ride the 9 km (5.5 mile) section of the sea wall that runs around Stanley Park. Locals are especially fond of this urban greenspace, which is located right at the tip of the downtown peninsula and is bigger than New York’s Central Park. The sea wall is mainly flat, so even if you’re not a pro cyclist, you’ll likely be able to make it around in a couple of leisurely hours. But why hurry? Stanley Park is home to lots of great diversions including public art, beaches, restaurants and the Vancouver Aquarium, which is world-renowned for its marine stewardship program. When it’s time for lunch, head over to Granville Island; either continue along the sea wall on your bike, or grab a ride. This area was once an industrial area, but is now an arts district with a very popular public market. Enjoy lunch at the market, then spend the afternoon tasting your way through the stalls selling local delicacies, the island’s craft brewers and distillers, and shopping the artist studios that dot the precinct. 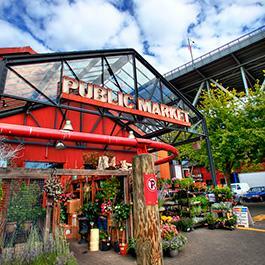 For dinner, indulge in local, sustainably-sourced seafood - likely from Granville Island Public Market! Today is all about the great outdoors! 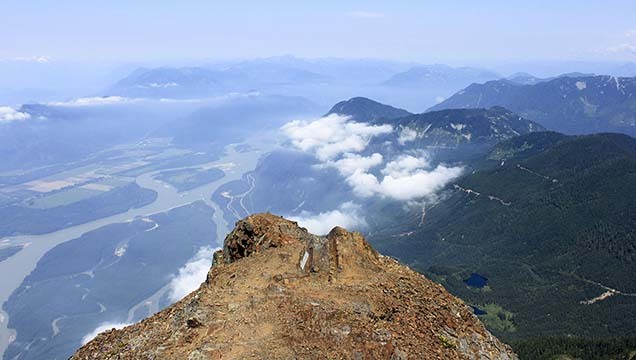 You’re going to head over to Vancouver’s North Shore, exploring the canyons, streams and mountains that make this area a natural playground for locals. Take the SeaBus ferry from downtown’s Waterfront Station over to Lonsdale Quay, then catch a bus up the mountain. If you have time, take a stroll around Lonsdale Quay Market – it’s a great place to stop for a coffee with a view back to the city’s skyline. Your first stop will be Capilano Suspension Bridge Park where you’ll take the swaying bridge across the canyon, before getting a taste of Vancouver’s temperate rainforest on the Treetops Adventure. A short stop further is the Capilano River Hatchery where you can see salmon jumping their way up the fish ladder to swim upstream, and then take an easy hike along the surrounding trails. 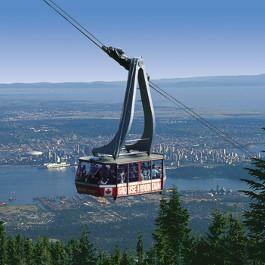 Your final stop is Grouse Mountain – the Skyride gondola whisks you to the peak where you’ll find plenty of adventures waiting for you! 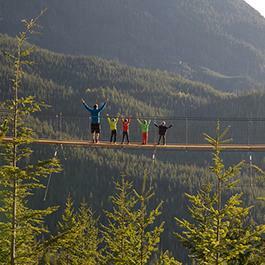 In the summer, visit the orphaned grizzly bears, Grinder and Coola, hike the trails, and go ziplining! In the winter, Grouse is a snowy wonderland with slopes to ski, forests for snowshoeing and a pond for skating. The Peak Chalet offers lots of dining options, from grabbing a beer and nachos on the Altitudes Bistro patio through to a multi-course fine dining extravaganza at The Observatory. Make sure you wear your most comfortable shoes today, because you’re going to be doing a lot of walking as you explore Vancouver’s neighbourhoods. Located on the edge of the downtown, Gastown is the city’s oldest neighbourhood. You’ll find plenty of history at every turn, and it’s a great spot for browsing First Nations art, hip boutiques and dining at some of the city’s coolest restaurants. A little further east is Chinatown, the third largest in North America, and home to the tranquil, four-seasons Dr. Sun Yat-Sen Classical Chinese Garden. Yaletown is also on the downtown peninsula and is a former warehouse district that has since been transformed into a chic residential area. Shopping is a big attraction, but so is the people watching – order a coffee and sit on the sea wall to watch the locals. The West End is a beachside neighbourhood at the foot of Stanley Park, and home to the city’s LGBT community – definitely worth a wander, or head down to English Bay Beach to take a paddle boarding lesson. Just over the bridge is Kitsilano, Vancouver’s original hippy enclave with a bustling beach, shopping thoroughfare, and attractions like the Museum of Vancouver and the Vancouver Maritime Museum. Celebrating diversity and the arts, Vancouver has a festival calendar that is bursting with exciting events, and tonight, you’re going to experience one for yourself! Whether you’re catching a documentary screening, stand-up comedy, fringe theatre, an Asian food market or a jazz performance, these events speak to our very Canadian trait of embracing our diversity. Speaking of diversity, today you’re heading to one of Metro Vancouver’s most multicultural suburbs, Richmond. 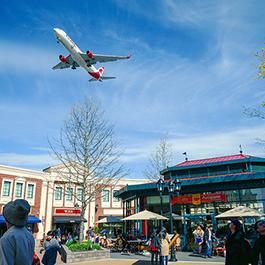 You may have already been here – Richmond is home to Vancouver International Airport! Jump on the SkyTrain’s Canada Line south and get off at Aberdeen Station. Venture into Aberdeen Centre or one of the other nearby malls to find yourself transported to Asia, complete with supermarkets, tea shops, household goods and any number of exclusive Asian brands, all yours for the browsing. Then take a short walk along the waterfront pathway to the ROX – Richmond Olympic Experience. Located in the speed skating venue from the Vancouver 2010 Olympic Winter Games, the ROX features simulators so you can experience what world class athletes feel when they compete. At the south edge of Richmond is the fishing village of Steveston. Made famous as the shooting location for the TV show Once Upon a Time, you can eat fish and chips on the wharf, wander the adorable main street, and visit the Gulf of Georgia Cannery, a National Historic Site. While you’re in Richmond, grab a deal at McArthurGlen Designer Outlets, where you can stroll the outdoor mall and find top fashion brands at significant discount. And with almost half of the population claiming Asian ancestry, Richmond is a fantastic place for food! Cantonese, Mandarin, Korean, Japanese, and Taiwanese – you’ll find all cuisines here. Today, you’re going to get out of town! Whether you decide to head north or east, you’re sure to find plenty of adventure. 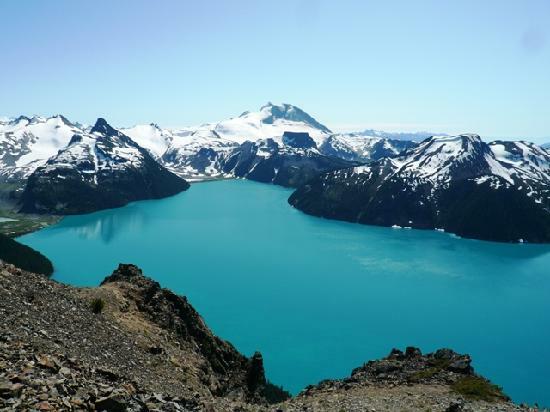 Driving north towards Whistler, you’ll travel the spectacular Sea to Sky highway, which winds up the coast to Howe Sound before heading through the mountains. You’ll want to stop at the charming Horseshoe Bay for a photo opp before continuing to the Britannia Mine Museum where you’ll learn about the history of the area. 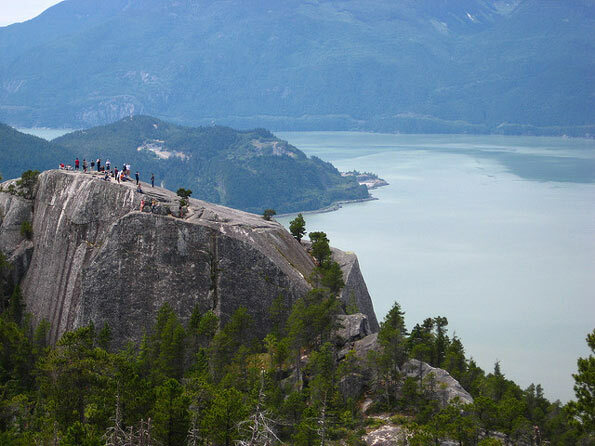 Stop for lunch in Squamish, a seaside city with a thriving farm-to-table dining scene and craft beer culture. 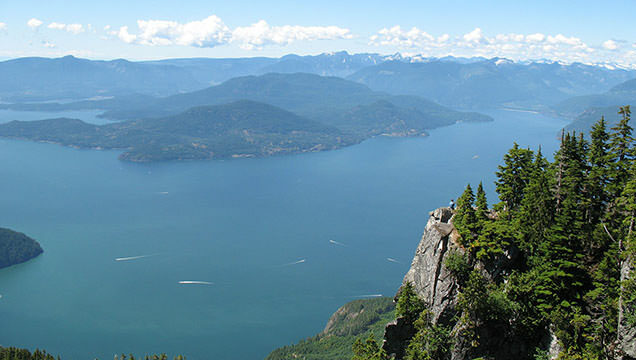 Then visit the Sea to Sky Gondola for spectacular 360 degree views up Howe Sound, as well as hiking trails and Via Ferrata climbing route in the summer, and snowshoeing in the winter. Or instead, head east through to the Fraser Valley for a full day of wining and dining! 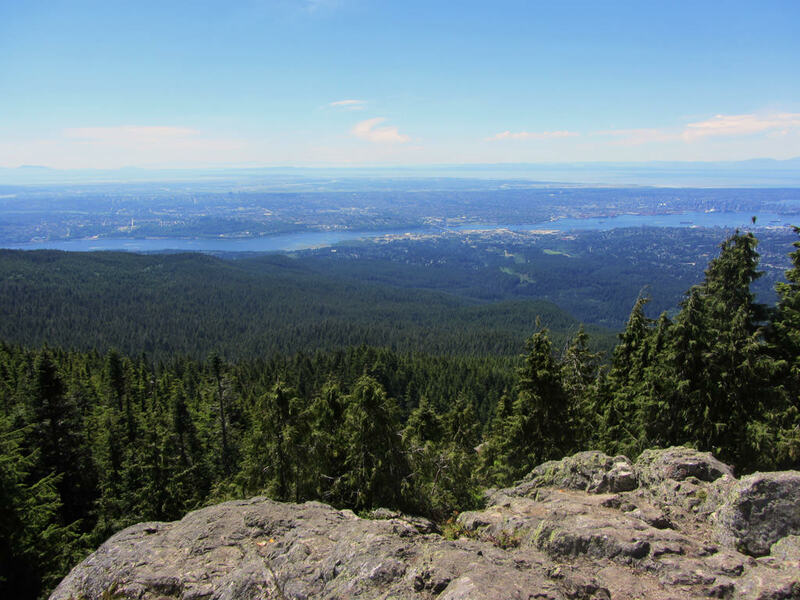 This area is known for the rich, fertile soil that grows much of Vancouver’s fresh produce and is also home to one of British Columbia’s wine regions. Along with cellar door tastings at the wineries, you’ll be tempted by stops at cheesemakers, bakers, fresh produce stands and farms. If you’re in the mood to catch your own dinner, this area is also known as an amazing fishing spot for salmon and trout. Finally, whichever option you choose, finish your day with a glass of something local at a restaurant with a view of the water, and toast Canada’s 150th birthday. Thanks for celebrating with us! 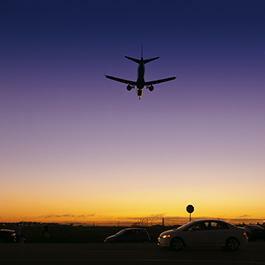 We apologize for the early wake-up call, but you’re going to need to get going to catch your flight! You’re off to discover more of this beautiful country, and continue celebrating Canada’s 150th anniversary.